"The only thing the international break has achieved for Stoke City is to make it even longer since they have won away from home. It makes absolutely no sense why Stoke are considered favourites to win this match at Hillsborough on Saturday." A two week international break to recharge a beleaguered side, or a fortnight to remember all the good things your team was doing? The next few weeks in the Championship will show us who really deserves to be thinking about promotion and which sides will get neck-ache as they look over their shoulders at the drop. Has the international break Stoked the fire? The only thing the international break has achieved for Stoke City is to make it even longer since they have won away from home. It makes absolutely no sense why Stoke are considered favourites to win this match at Hillsborough on Saturday. After a rocky start, Wednesday have won three on the bounce, including home wins against Millwall and Ipswich. The Owls are on a good run and will not fear a Stoke side who cannot win away from home. Owls boss Jos Luhukay will be without Fernando Forestieri after the Argentine was handed a three-match ban for his involvement in a brawl during a pre-season friendly against Mansfield. Academy graduate Matt Penney could start ahead of Morgan Fox at left-back after an impressive showing against Reading. Stoke have been the early disappointments in this Championship season. Three defeats, two draws and a solitary win against struggling Hull will have left Gary Rowett's men shell-shocked. For them the international break was an opportunity to re-group and muster some fight. Rowett himself must wonder where his Midas touch has gone with just one win in his last 13 away matches in all competitions (D6 L6). Stoke haven't notched a win away from home, apart from against Swansea in the deadest of dead duck relegation wakes at the end of last season, since a 1-0 away win against Watford in October last year. They've played 16 away league games since then and only taken seven draws and that hollow victory in the process. Wednesday have been driven by midfielder Barry Bannan who has completed more passes than any other Championship player this season (324). A win over Stoke would see them notch four consecutive league wins for the first time since April 2017, when they won six in a row. I'm backing them to do it, particularly at a tasty [3.1]. This is not particularly scientific, but a lot of statistical websites differentiate between wins, defeats and draws by using different colours. Norwich's home form is what I describe as stripy. The Canaries have alternated between a win and a defeat in their last eight games at Carrow Road and lost their last game against Leeds. I'm not convinced the pretty patterns will continue beyond the visit of Middlesbrough on Saturday. Boro haven't conceded in their last 503 minutes of Championship football and have kept five consecutive league clean sheets for the first time since the 2015/16 season. Away from home Boro have drawn two and won one, but Leeds put three goals past Norwich and Boro have gone blow for blow with their top-of-the-table counterparts so far. Norwich have conceded seven goals in their two home defeats at the hands of WBA and Leeds, and their only clean sheet came in a 2-0 win over Preston. Also, take a second to consider this stat before lumping on Norwich striker Jordan Rhodes to score on Saturday. He hasn't scored a single goal in any of his last 16 league appearances (including play-offs) against sides he's previously represented in the Football League. That record dates back to a brace he scored against Ipswich Town in October 2015 for Blackburn Rovers. After the 0-0 draw at Elland Road, manager Tony Pulis was in buoyant mood about his Boro side's display, saying: "You come here, you take a point but I thought we were fantastic in respect of our energy and the way they worked together it's just frightening, the effort and commitment they put in." Pulis has Middlesbrough ticking and, for me, Boro take all three points on Saturday but Under 2.5 is the play on goals. Reading are rock bottom of the Championship and there for a reason. Away draws against Blackburn and Aston Villa are the only points they have to show for their efforts thus far and, although it may be early days, the writing looks on the wall for Paul Clement's side. Iranian international Saeid Ezatolahi was brought in prior to the break to add steel to the Reading midfield and could be handed a debut. 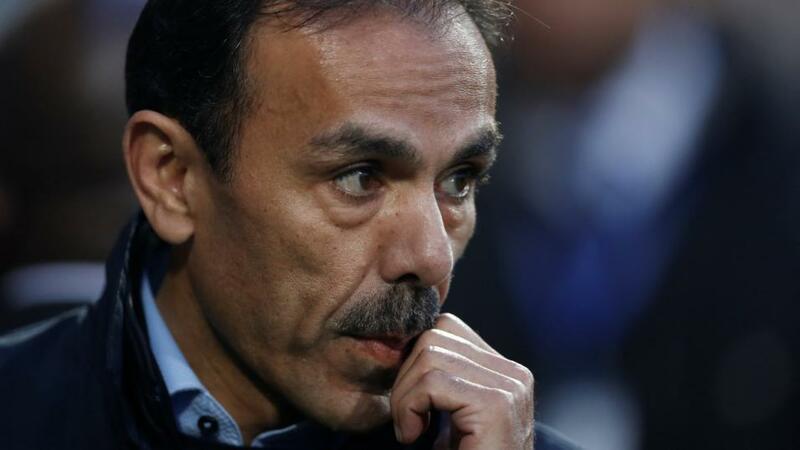 After the 2-1 home defeat to Sheffield Wednesday a fortnight ago, Clement said: "I take responsibility for this run ... At times we are our own worst enemies. I need 15 to 16 players turning it on every week and it is up to them to step up. Everyone needs to be fighting to play. The squad is united, don't worry about that, and it is frustrating for everyone at the moment." Preston are not certainties to win, but they have an excellent home record. They are unbeaten at Deepdale this year with a win over struggling QPR and two draws in the bag, but their away form, with three consecutive defeats, has marred their hopes of a play-off challenge this term. Preston will miss suspended mifdielders Ben Pearson and Ryan Ledson and Daniel Johnson could be handed a start. Last time out Preston squandered a 2-0 lead to be cut back to a 2-2 draw by Bolton and manager Alex Neil admitted, "We are making errors that we weren't making last season and when you're not in control that makes a problem." A visit by Reading is just what Neil's side needs to grab their second win of the season. The [1.92] for a Preston win is ideal acca fodder, but I'm getting more adventurous and looking at PNE and Over 2.5 goals at [3.07].